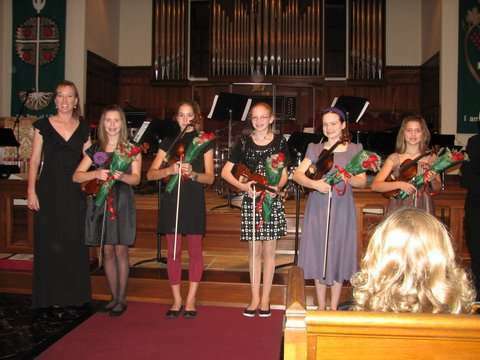 Twice a year I offer a formal classical violin recital for the students as a special occasion. Recital day is my favorite day of the year! I love the educational and social opportunity for the students. With the month of May and December being super busy for parents, I have found great success with scheduling the spring recital in April and the fall recital in November. I schedule the spring recital late in the month and I always avoid the Saturday prior to Easter, as well as Easter weekend. For fall I avoid the Saturday prior to Thanksgiving and also that holiday weekend. Parents love having recitals on Saturdays instead of a week night. I have come to love a morning recital and it is truly wonderful for very young students and also students that may be prone to feeling some nerves. The day is fresh in the morning and it is a joyful time. I use the basic format of a morning recital (10 or 10:30) and an afternoon recital (1:30 or 2:00) each with reception. This helps those that may have sports in the morning or afternoon. And, I always honor the recital time requested by the parent. I keep the number of performers (counting myself) from about 11-14 performers total. That choice keeps the program length from about 1 hour to 1 hour 20 minutes maximum depending on how many students are player longer, more advanced works. By splitting my roster I can create a desirable recital length for all and especially be mindful of families with babies/toddlers. 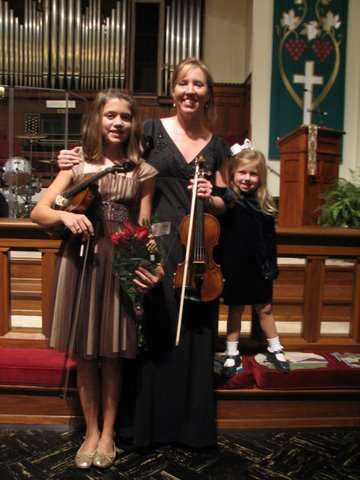 My recitals are family friendly and I use the event to teach proper concert etiquette. With all dressed in fancy attire how do I bring a relaxed feel to the event? I have students arrive 30 minutes prior to the event to unpack and warm up. I then interact with each student and encourage them to just have fun, make a new friend and do their best. Five minutes prior to start is the group photo. Then, I seat the performers in the order of the program and make several welcoming announcements. I also clearly state the intention of the event: educational, fun celebration of music, good concert etiquette, remind them to take a bow, etc. I tune each student just before positioning them on stage and then we are off. How do I balance my first love of performance with my teaching? I’ve become inspired to perform for the students at the spring and fall recitals. It’s great for my “chops” and lifts my spirits too. In recent years I have really enjoyed the ride of Improvisation by Kabalevsky, Baal Shem No. 2, Nigun by Ernest Bloch, as well as Sonnet, Op. 5 by Isidor Achron. I thought perhaps it may be too abstract for students? I stand corrected as one of my advanced 9 year olds in response to the Achron stated, “It sounded mysterious, I really liked your solo.” Well, well, even very young students can truly be moved by intense and harmonically rich music. Other titles that are simply fun to perform at student recitals include Czardas, Ave Maria (this one always makes grandparents cry), and recently I learned Legende Op. 17 by Wieniaswki. This solo which is so fantastically written for violin was recommend by my dear colleague Zoya Lebkin. 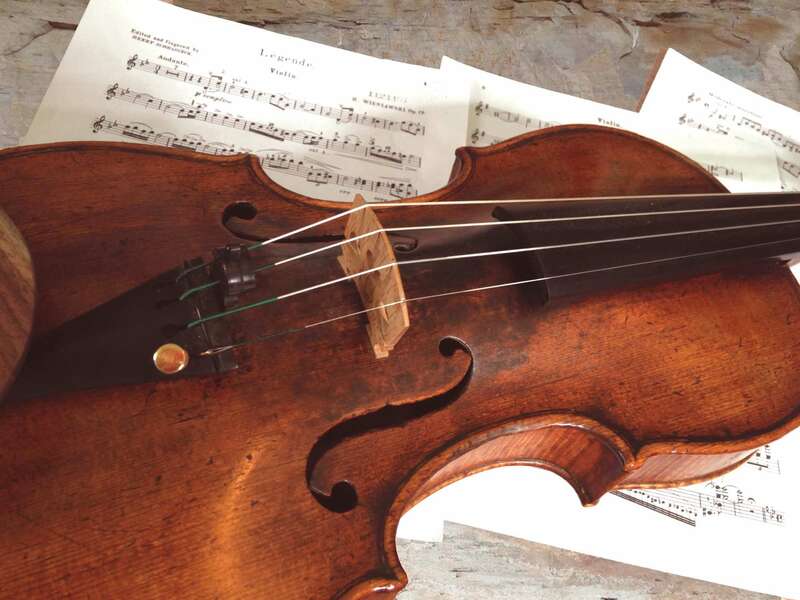 Isn’t it true that there is always more excellent music to learn? 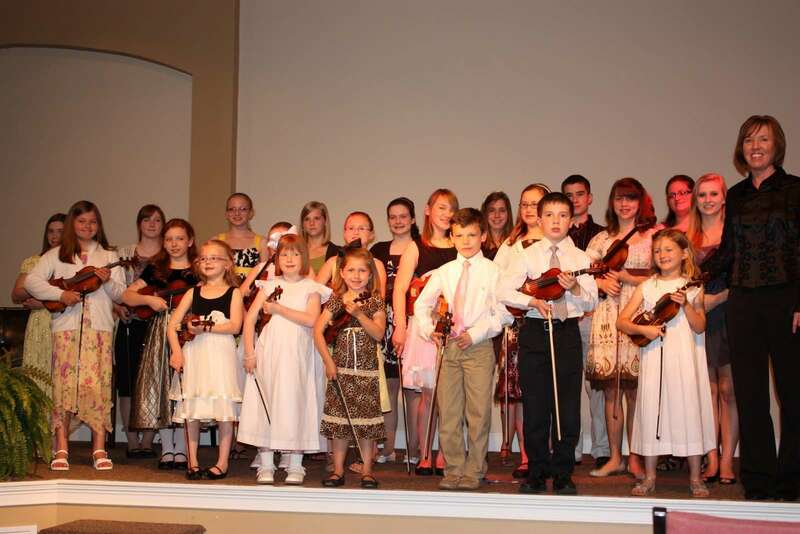 I admit that on my favorite day of the year (recital day) I am totally focused on the students! That does create a challenge and sometimes even stress with my own warm up and performance focus as I perform last and have been attending to each student. I have managed this by relaxing, simply doing my best and experiencing the joy of playing. And, one learns to accept starting out a solo on cold fingers. The fall recital is approaching in November and I’m now contemplating playing 2 new and short solos…what will I decide?